Amazon appears to have taken its first steps in reaching out to the rest of the world. 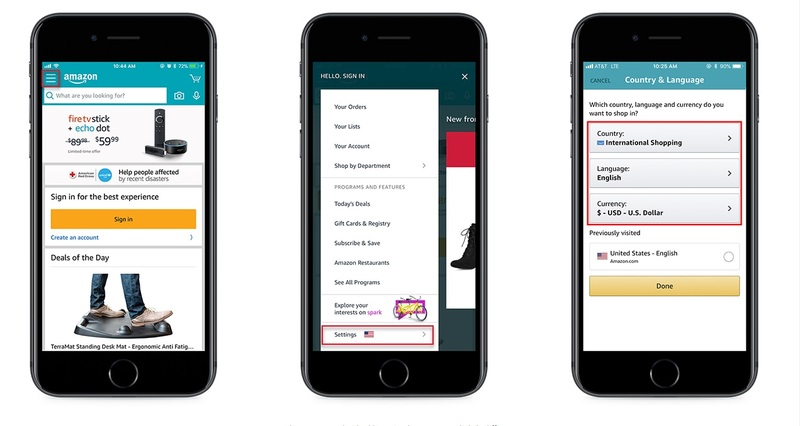 The world’s second largest online retailer is now offering an “international shopping” option through its mobile app; allowing millions of customers around the world to shop and pay in their own home currencies. Including Malaysian Ringgit. 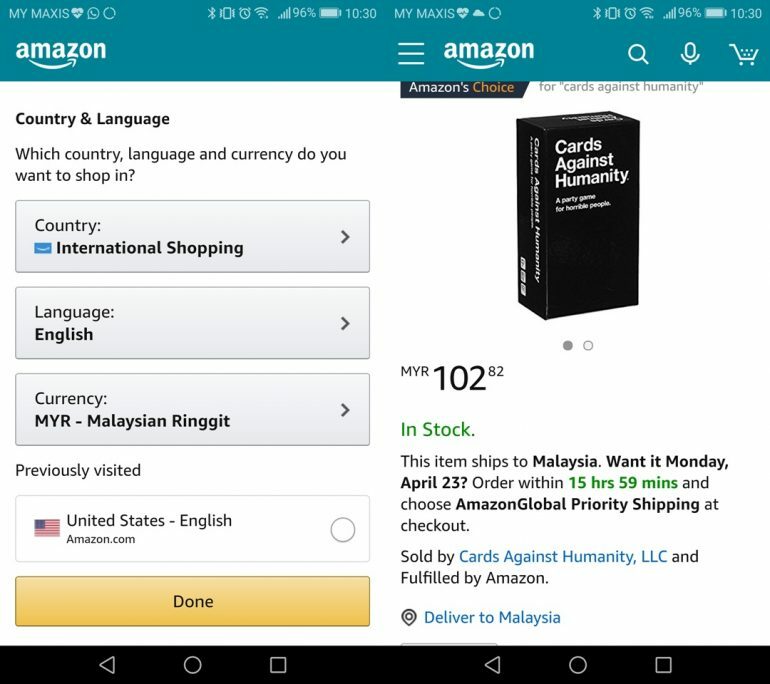 New users to the app will be prompted to select their region, which simply classifies anything outside of Amazon’s main markets in the North America and Europe as ‘International Shopping’. From there, there are able to select a preferred currency; offering Ringgit, Singapore Dollars, and Thai Baht among the 25 offered currencies. Once done, the app will begin to display prices in the chosen currency; removing the need for people to do mental gymnastics about conversion rates. That said, there are still some bugs to work out in the system. As the product comparison section and shipping still show prices in US dollars. It should also be noted that the app still doesn’t filter for items that ship internationally. Which one would think that it would do if “international shopping” was meant to be a thing. There have been rumours of Amazon looking to set up shop in developing countries to combat the rise of Alibaba. The company expanded into Singapore last year with little fanfare, and has since been quiet about future plans. Chances are that the new ‘international shopping’ feature is the next step in its effort to match the competition on a global scale. That said, this shopping option is only available through the mobile app on Android and iOS; and mysteriously leaves out the website.